Downtown Ludington is a must see & do when in the area. 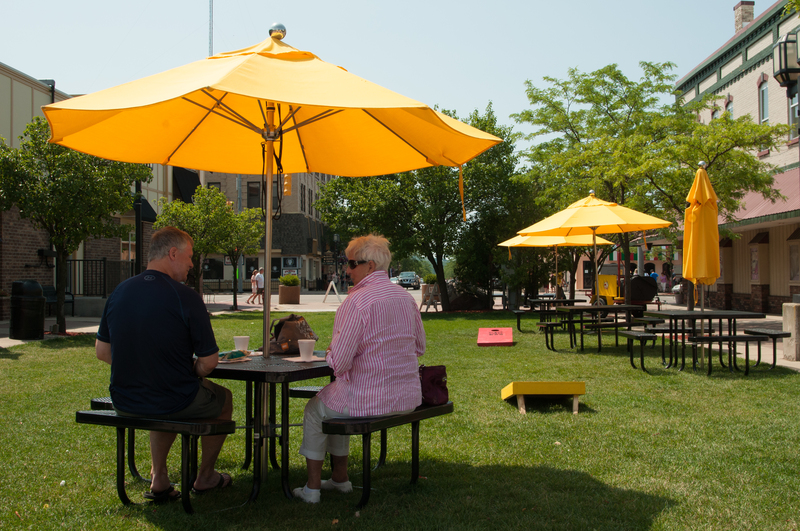 From unique shopping to excellent dining options, you are sure to have a memorable experience in downtown Ludington! After a day at the beach, stop downtown and enjoy extended late night hours in the Summer season. The weekly Farmers market and seasonal events like Friday Night Live and the New Year's Eve Ball Drop make downtown Ludington a year round destination. West Shore Art Fair July 6, 2019 - July 7, 2019 10 a.m.-5 p.m.
Friday Night Live July 12, 2019 6-9 p.m.
Friday Night Live July 19, 2019 6-9 p.m.
Friday Night Live August 2, 2019 6-9 p.m. Walk to End Alzheimers September 14, 2019 9:30 a.m.-12 p.m.
New Year's Eve Ball Drop December 31, 2019 - January 1, 2020 9 p.m.-12:30 a.m. Note: Some map locations are approximate. Please call the venue at 231.845.6237 for exact directions.